There is an opportunity open to DJ alumni, which has been produced with the support of the Toronto Arts Council. 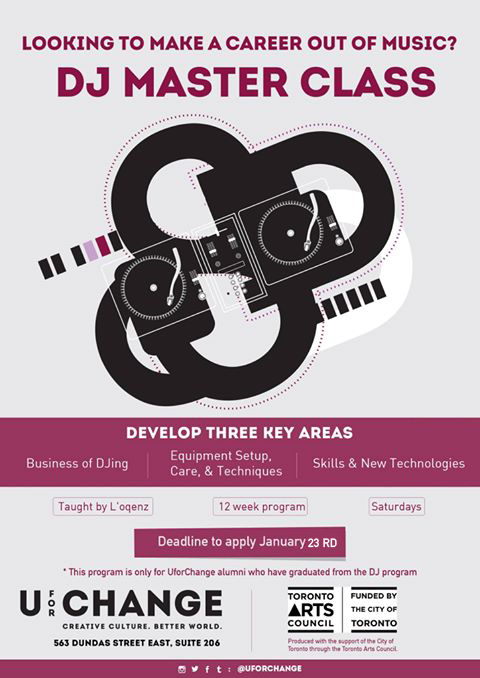 Over the course of 12 weeks, DJ L’Oqenz will be leading a workshop to develop three key areas: Business of DJing, Equipment care and set-up techniques, and Skills and Technology. For any questions, please email L’oqenz directly at loqenz@uforchange.org.